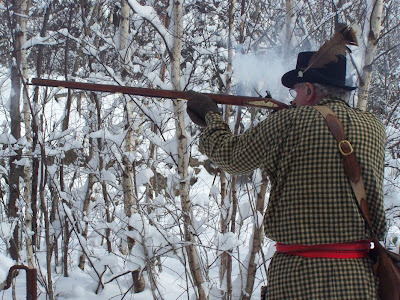 The St. Lawrence Valley Primitive Snowshoe Biathlon, organized by the Fort La Presentation Association and Forsyth’s Rifles and hosted by the Massena Rod & Gun Club, will be held March 3-4, 2012. Participants are encouraged to wear historic clothes covering 1750 to 1812. 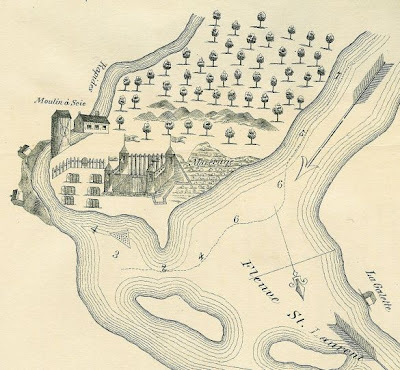 Fort de la Presentation was one of a handful of French colonial forts in New York State. Forsyth’s Rifles from Ogdensburg re-enacts a U.S. Army regiment posted in Northern New York during the War of 1812. From the French and Indian War period, they portray a unit of French marines. Northern New York during the War of 1812. From the French and Indian War period, they portray a unit of French marines. Registration form and rules are at www.fort1749.org[/CATS]. Photo courtesy The Dalton gang Shooting Club[/CATS] of NH.